Black Friday has come and gone and Movember is nearly over. The Toronto Argonauts just won the 100th Grey Cup with the quarterback Edmonton moved at the end of last season. Before we get to Part II of last weekend's Masters of Curling, I need to take a moment and plug Around The House, a new Podcast covering the sport of curling. It's hosted by Manitoba's Jordan Bauldic and includes yours truly along with CurlingZone Czar Gerry Geurtz. We're hoping to get an RSS feed set-up soon. Let's return to the Friday round robin game between Glenn Howard and Kevin Koe, the one I was too tired to expand on in Part 1. The 5th end (Howard up 2-1) is intentionally blanked by Koe. The intention is to have hammer in the 6th and 8th (final) ends, leaving Howard with hammer in the 7th. This occurs if no end is blanked or stolen. The idea is to go "2 for 1" (2 hammers to one for your opponent). Let's examine this play. Down 2-1 with hammer with..
Kevin is essentially blanking in order to attempt a deuce in the 6th end to gain 3.4% from scoring two in the 5th end. Note that the reduced odds he would see by being forced to one in the 6th instead of the 5th is 3%. The net of this is a 0.4% gain. A steal (bad) or three (good) is 4.3% better or worse in the 6th versus the 5th end. Let's look at this another way. Taking two then forcing Howard to one. If Koe does this in the 5th and 6th ends, his odds to win are 67.1%, tied and two ends to play. If he blanks the 5th, takes two in the 6th then forces in the 7th his odds become 79.7% (tied with one end). Remember, general stats for all events show 75% odds if tied with hammer and one end to play but Grand Slams trend closer to 80%. Now we can see that Koe is putting more pressure on the outcome of the 6th with the goal being a 12.6% improvement if he achieves the same results (take 2/force 1). This gain more than compensates for a steal or force in the 6th versus the 5th end and makes a strong case for this strategy. Howard now sitting two. In this situation, Howard is trying to score two (88% winning percentage) at the risk of a force to one (60%) or even giving up a steal and having last rock in the last end down one (40%). Ultimately, I agree with the call (and not just because Wayne made it so well). Glenn only needs two to maximize his chance for a win. Any more is just a bonus. I prefer moving the stones around at this stage because bunching more rocks into the area would increase the odds of a steal and bring in a possible steal of two (disaster). Even if Wayne had killed the red rock off the button, Glenn may still have a possible chance at two but greatly reduced chance for a steal. I'm just surpised it took them so long to recognize the shot. Kevin then makes a great shot to sit just on top of the Howard stone. After Glenn peels the guard, Kevin puts another one up and Glenn still had a slight chance at two with a very difficult draw. Didn't make it, and he heads to the final end up one without hammer. Gerry Guertz gets a little video shot in the booth on at the beginning of the 8th end. Did I mention that I'm joining Gerry on a Curling Podcast called Around The House, which is hosted by Jordan Bauldic? Sorry if I missed that. Wayne misses the yellow stone on the button but leaves the raised stone sitting in front of it. Koe's third Pat Simmons then draws around the corner again and a timeout for Howard as they try to decide what to call. At this stage they have 1:01 left on their "talk-time" clock. Glen makes a great tap and corner freeze, sitting 2nd and a very close third shot it appears. 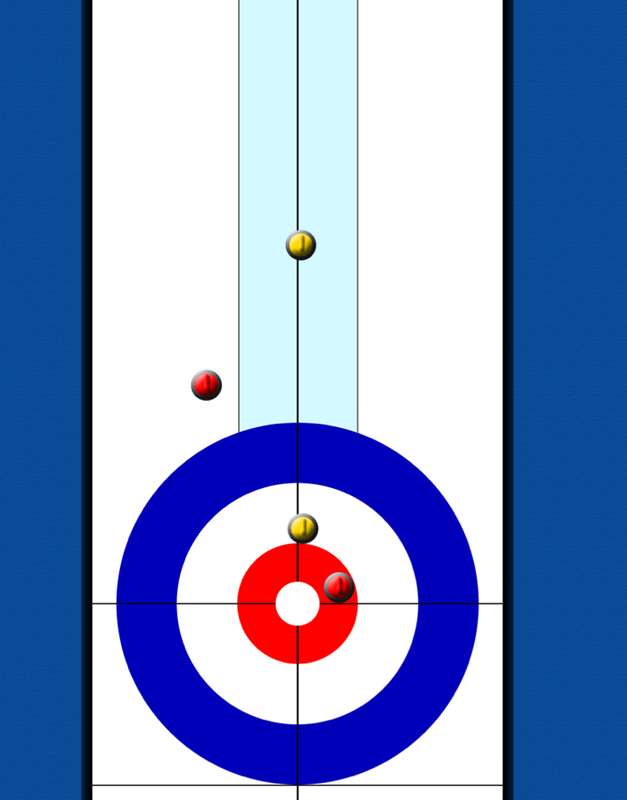 Koe attempts to tap the red in front of his shot stone back button but is too heavy and wide and leaves a very makeable double. Glenn has under 40 seconds to make this attempt, plenty of time but cutting it very close. 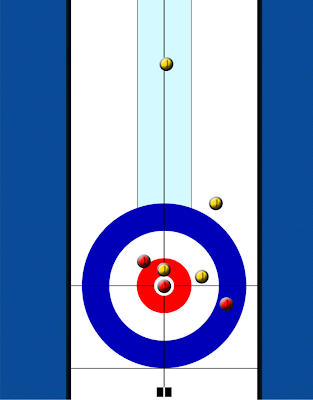 He throws the stone to the high side and misses the double, leaving a fairly simple shot for two and the win for Koe. If only the center guard had still been there or a little more time on the clock. Kevin Martin vs Jeff Stoughton in the Quarterfinal. First end of this game and both teams are knee deep into it. 4 rocks in the four foot, 3 more in the eight foot, one in the twelve foot and two guards out front (10 in total and 2 yet to come). Jeff makes a great tap to sit one and Kevin then follows with a double tap to take 1. In the 5th end, up 2-1 without hammer, Martin's first rock thrown by Ben Hebert is a longish guard. Not sure if that was an error or intentional, we didn't join the broadcast until later in the end. Once Stoughton gets a rock buried top eight foot, Martin lead Ben Hebert is light, top twelve foot. Stoughton begins to throw rocks out to the side, drawing for second shot. Joan and Mike comment it's not a common sight, playing away from the center. Seemed to make sense given the situation, but agree we don't see it often. 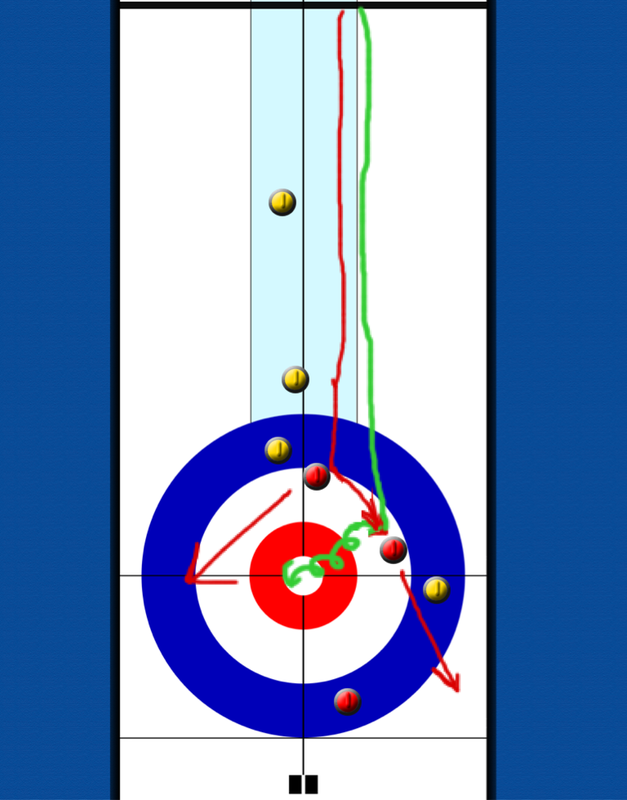 Kevin attempts the thin double (red lines) rather than the soft weight hit and roll (green line) to the centre. Martin's top yellow sits a well protected third shot. A very aggressive call that I think many players, even at Kevin's level, would not have attempted. He hits the top rock too thick, and surrenders a deuce to Stoughton. In the 6th, Kevin has a great chance to get two back but comes heavy on his first and Jeff locks his last shot on top of Kevin's, forcing him to a very difficult draw to the side of the pin for two, which he doesn't make. Score is 3-3 after 6 ends. At this stage, everything seems to be going Stoughton's way. They take a moment to discuss the various angles, what they will leave Jeff and what they expect him to call. 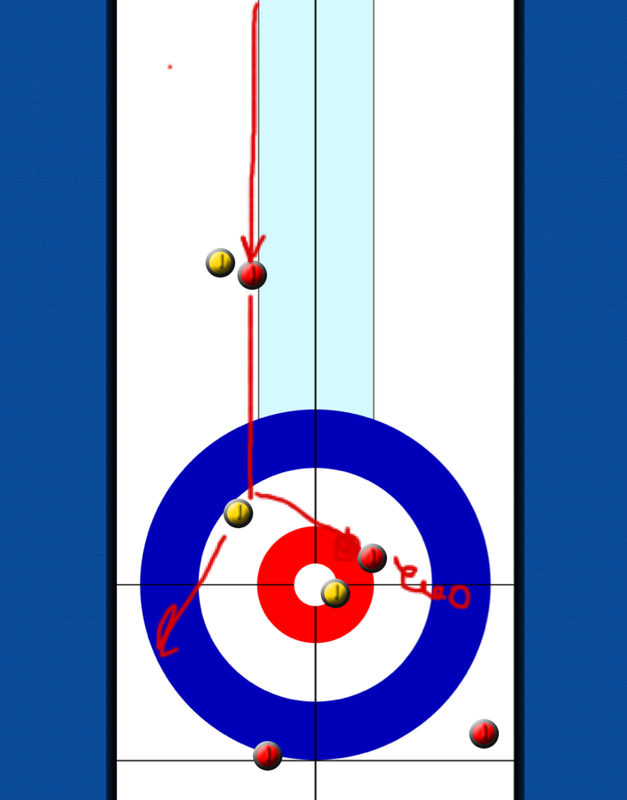 Eventually they call a freeze/tap on the second shot yellow stone (based on lead Ben Hebert's suggestion). It's made perfectly. After a hit by Stoughton's third Jon Mead, Martin is facing a similar shot and makes the same freeze. Eventually, Jeff has a double attempt to score one but the result is a steal for Martin. After a Marc Kennedy triple peel, Kevin chooses to play the 8th rather open, trying to force Jeff to one and go to the extra end with hammer. Jeff in fact misses his last shot, an open hit that needed to stay in the four foot, and Martin steals one and moves on to the semi-final. The next broadcast is a quarterfinal with Laycock (a Tier 2 qualifier) versus Brandon Jacobs. My Tivo worked overtime here as the first three ends were blanked. After a deuce in the 4th by Laycock, Jacobs attempts a difficult split on his last in the 5th and only manages a single. He dropped from odds of 19.3% (2 down with hammer) to 16.9% (one down without hammer), attempting to tie the game (39%). Well worth the risk if he has even a 15% chance to make it. Semi-final: Battle of the Kevin's, Koe versus Martin. $1 million dollars, announced at the beginning of the week, must still be in the minds of these players. Despite the $1 million, they still can't appear to get more than a couple dozen people into the stands. I know it was an early moring draw, but most curling fans are over 60 and usually up by 6 am. The game appears a little sloppy, though I heard later from Gerry Geurtz (on the Around The House podcast) that there were issues with the ice. 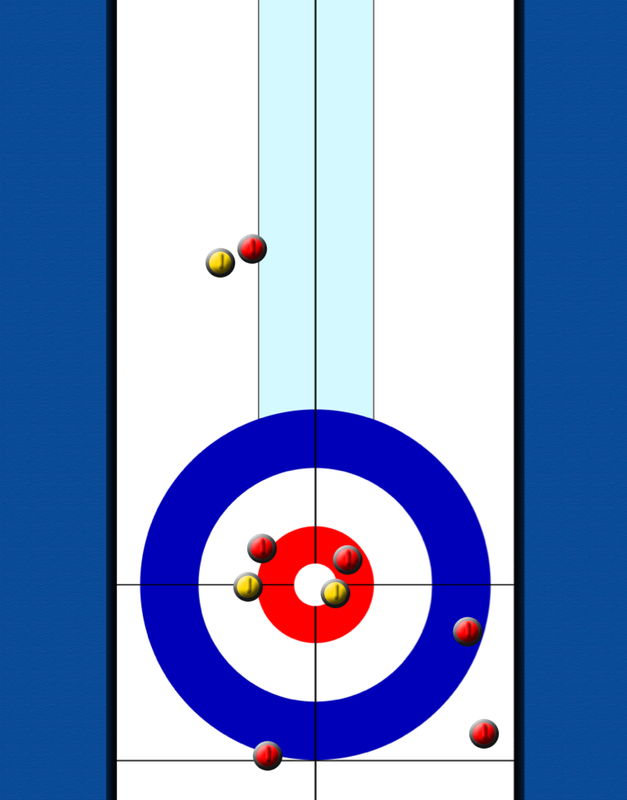 Kevin Martin calls a difficult soft hit on his first shot of the game, rather than blasting, and if Koe had been an inch further with his last, they may have stolen three. Instead, it's a steal of two when Martin's last rock draw is heavy. In the 4th end, Koe is up 3-1 without hammer, With two red rocks in the top rings, he chooses to place a guard rather than peel the Martin corner guard. An aggressive play which surprises me. I think if Koe had only one in the rings he may have blasted the corner. Martin ends up able to play to the wings and if not for a miss by third John Morris, would have been well positioned to score more than one. Instead, Koe is able to place a rock biting the top four foot and Martin eventually comes heavy on his draw, leaving Koe a steal of one (and almost two). Martin scores a deuce in the 5th, despite one of Morris' shots picking (they were drawing to sit three at the time). Kevin Koe attempts a raise double on his last and can't remove one of Martin's rocks, but sits 2. Martin makes no mistake with the double and pulls within 1, 4-3 for Koe. Up 5-3 without hammer in the 7th, Koe's squad takes an incredibly long time deciding whether or not to have second Carter Rycroft peel on his last shot. They do peel and their fears of a draw around their staggered rocks in the house are avoided when John Morris comes heavy with his first shot draw attempt. Koe third Pat Simmons blasts the rocks in the house and result in an eventual blank. At the start of the eight end they show Jack Nicklaus, Roger Federer and Kevin Martin, and their respective "Grand Slams". I fully expect Jack and Roger have no idea how close they are to being usurped. Also hope Jack did not see the photograph as it appeared he had three chins. Koe's squad discusses the last shot, trying to ensure they don't risk giving Martin a chance at a possible three, which will lose the game. 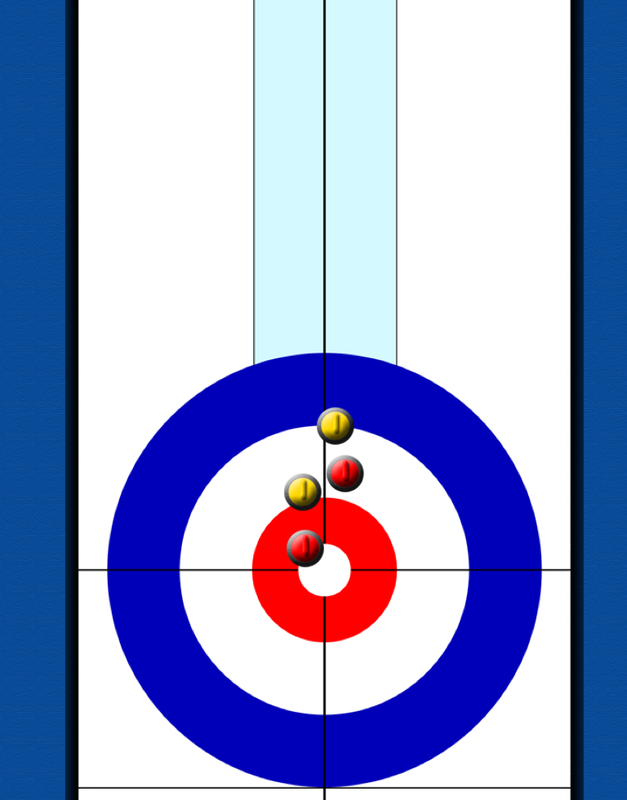 Rather than playing a freeze, Koe decides to play a double on the top two yellow. He ends up kissing his own red on the button to the back of the rings and leaves a possible shot for three. It's not an easy shot and Martin hits it a little thick and only gets one. Off to an extra end, Koe with last rock. After much discussion, they decide to play the peel. They consider playing into the rings now, worried that the last shot will be difficult. Because of the red corner guard, the draw to the button in not routine (like they usually are :). If Martin makes a perfect shot, they may have to play a double to blank. Kevin Martin attempts a hit but rolls slightly to the open side, leaving Koe and draw ot the four foot. A little heavy, but hangs on by a hair (and a measure) for the win. Koe goes on to battle in the finals against BC's Jim Cotter (with Manitoba import Jason Gunnlaugson at third). After a steal of two in the first, Koe rebounds with a deuce of his own and, after a force in the third, cracks a three ender in the 5th to go ahead 5-3.Unlike the Martin game in the semi-finals, it never gets closer and they take home the top prize and sole possession of the title "only team that can win the grand slam and $1 million dollars". 2012 ended with an exciting World Men's Curling finals, a game which Canada's Glenn Howard rink was fortunate to come through with a victory. I plan to take a look back at that game later this season, but for now let's begin the new era in televised curling, the Rogers Grand Slams (RGS for short?). To any of those who are uncertain what this new era means, Rogers is not simply broadcasting the Slams, it actually owns them outright. CBC is sub-lisenced to broadcast draws, including the finals this past weekend. We can ponder on the meaning of this ownership arrangement, and potential risks involved, but that can be left for another time. For now I will stay positive as my Tivo recovers from recording the 20 plus hours of curling coverage. 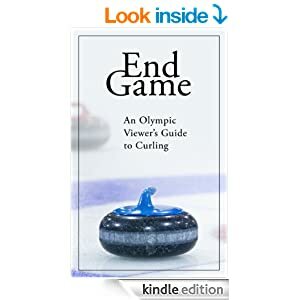 With more than a cable sports channel per million people in Canada (35), it always seemed strange that we can't get more curling on television. If ESPN (and TSN) can broadcast over 10 hours of three guys playing poker (full disclosure, I watched it all), curling should be able to find more airtime somewhere. This event introduced a two tier format with 18 teams in 3 groups, battling in a round robin format for 6 spots and a separate 16 team triple knock-out for 2 more spots. Steve Laycock was the only Tier 2 team to reach the semi-finals. I'll be interested to find out more about future plans for the Slams and how this format will evolve. First end, first game, the first Kevin Martin shot of the new RGS, and, after coming up light (or possibly the rock "picked"), we catch a little colourful language from the Olympic gold medal skip. It would not be his last expletive, as another slipped during the semi-final on Sunday. Rogers is cable, so I speculate there are no fines issued or need for a 15 second delay. The foul language isn't needed (though it's occasionally amusing) and some will chastise Martin for his "behaviour", but with $1 million on the line, I suppose a slip or two should be expected. 5 iron from 187, no kidding. The first televised draw sees Kevin Martin vs John Epping. We have Joan McKusker and Mike Harris, back from their CBC days, along with Rob Faulds. Unfortunately, the three of them make up nearly half the live audience (and attendance didn't appear toimprove much the entire week). Again, I want to be positive, so we'll save that rant for another time. I like Mike and Joan and given the chance to do more games than usual can only improve their coverage. Vic Rauter must be nearing the 10,000 hour mark by now, right? If you missed it, check out Vic's great interview with Dean Gemmel on the Curling Show. Joan mentions that this Martin team is 118-2 when getting a deuce in the first end. Luckily for Epping, after John Morris comes up light and Kevin's first (F%^$*#) rock picks, Martin is forced to one. You may recall the 5-Rock experiment last year during the BDO Open. I expect that as players improve even further, beyond even the skill levels of team Martin circa-2008-2010, we will need to implement a 5-Rock or a no-hit, or return to the Ryan Express era of the late 80s, early 90s where the game loses the interest of the fans (both of them in the stands at this Masters...ok I'll stop now). Epping makes a great triple raise for two in the second end. Blank in the third and then, Kevin Martin makes one of the worst shots I've seen him throw on television. He even comments they could give up a steal of three and, as is often the case, his intuitive sense of the game is correct. Note the new drawing capabilities of my Strategy Board, providing a reasonable facsimile of the real live TV action. 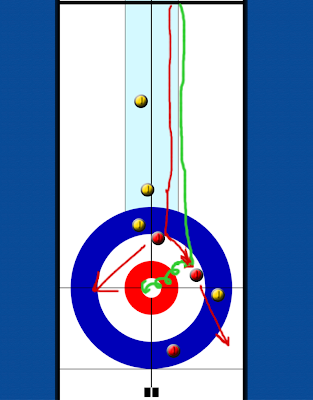 This is brought to you by Jeff Rogers' Curling Stategy Tool, available on Itunes. Down 4 with hammer, Epping eventually wins in 6 ends. Rogers coverage of Draw 4 has Jeff Stoughton vs Glenn Howard. After a force in the first end, a three in the second and a steal in the third helps Glenn's squad cruise to victory. The three seemed unlikely as Stoughton sat two after thirds rocks. Jeff comes light on his attempt to corner freeze, bighting the top twelve. Glenn comes around the Stoughton rock and corners onto the red rock, sitting second. Still, how scary can this be? Rather than play the in-turn tap, jamming his rock into the yellow stones, he instead plays a soft tap out-turn, through the port, attempting a rub of the yellow Howard stone. Siting one before he throws, Jeff does what Mike Harris suspected could happen and instead gives up a steal of one. Howard eventualy wins, leading three up coming home. Koe vs Howard on Friday night is a close game throughout. Koe's difficult draw for 2 in the second picks and its tied 1-1 until Howard is forced to a single in the 4th end. 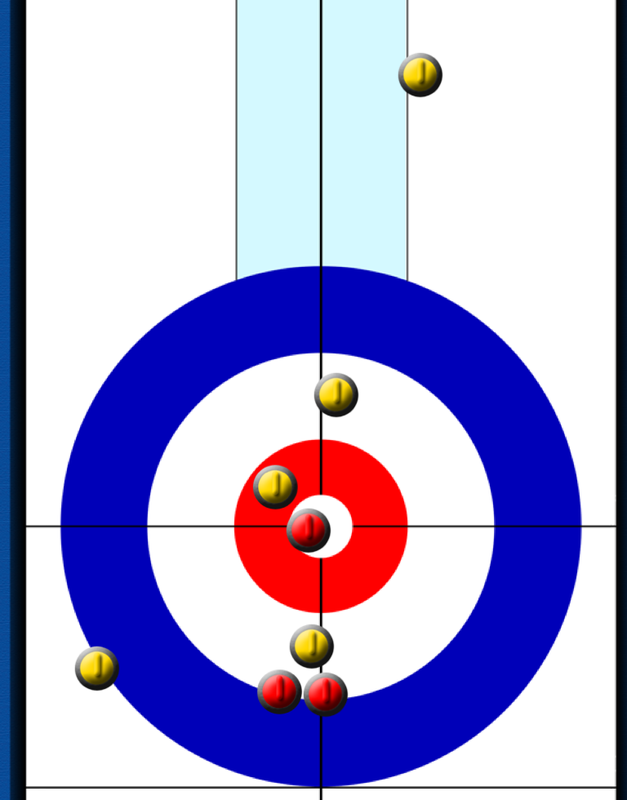 In the 5th end, Koe doesn;t throw a corner and Joan is "shocked". Kevin appears to be comfortable taking the hammer into the 6th end and playing the "two-hammers-to-one" theory. This being that if you have the hammer in the 6th, if no one steals or blanks, you should have the hammer in the 8th as well. I've written on this before, and the numbers don't appear to sway this decision as right or wrong. I've seen enough of it in the last few years that perhaps a full column on it in future would make sense. The boring play in the 5th did allow Mike and Joan to start a discussion with Glenn Howard during the end! Can you imagine Vin Scully chatting up the Dodgers catcher while he's calling pitches in a major league baseball game? Come to think of it, that's a great idea. Koe is forced to a single in the 6th. 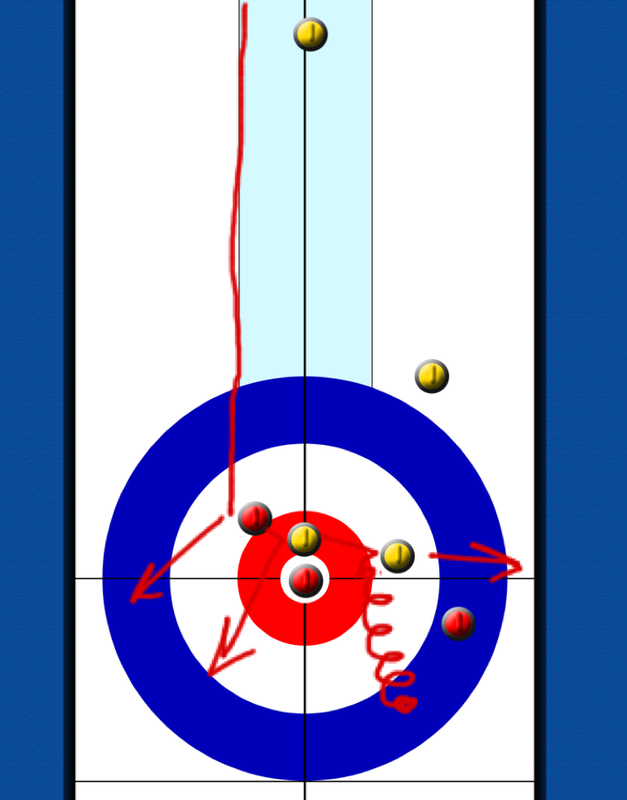 The seventh and eight ends had plenty of the drama that makes curling a great television sport. I mean of course the scene of four men with brooms standing around, looking at rocks and trying to decide what to do. If I didn;t need to get up in 5 hours I'd probably add some more coverage of these final ends but 2,014 words in and we haven't even gotten to the Playoffs! I'm already starting to miss the shortened CBC coverage of the Grnd Slams. Howard had less than 30 seconds on his "talking time" clock. Perhaps it influenced his miss on the final shot, leaving Koe a shot for two and the win. More from the Masters Playoff rounds in Part 2. G'Nite.